What keeps us awake at night, when the storms of winter are blowing, is what's happening 25ft down on the seabed. The problem of getting regular mooring checks has never been easy and seems to be getting harder. The gallant and often unpaid efforts of friends and divers has kept our boats safe for years. But it's a thankless and unrewarding job. 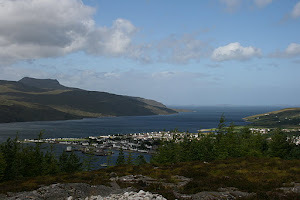 The Loch Broom Mooring Owners' Association by its own admission is primarily a tax collecting body, and while it insists owners check their gear, insure their boats (almost impossible for a boat left to overwinter, by the way) and register the mooring's position, it does not, despite what the name implies, actively help owners keep their moorings safe, or even regulate where they are laid. 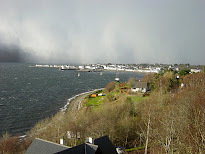 That is up to the reps in the various mooring locations, Loggie, Ardmair, Ullapool. The £40 we pay every year is cheap, but for what? 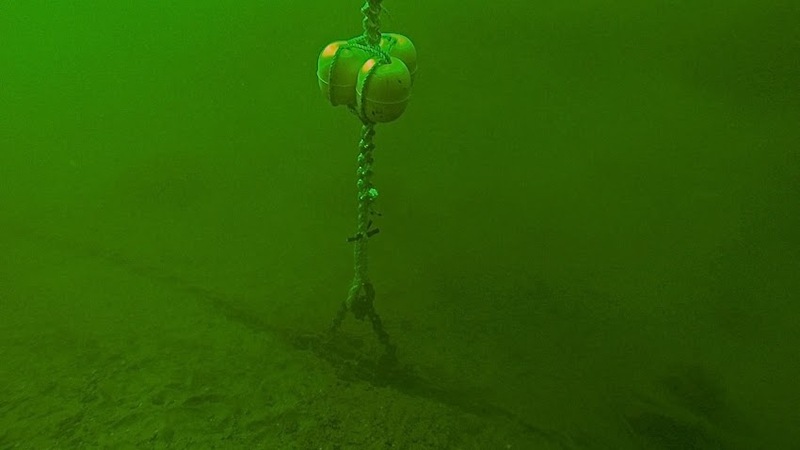 A plastic tag giving us the right to lay a mooring; not the ownership of the sea bed, or the radius of the swing. 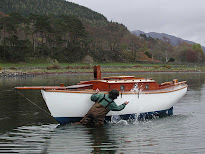 Failure to pay risks having the right to the mooring rescinded and the mooring removed. 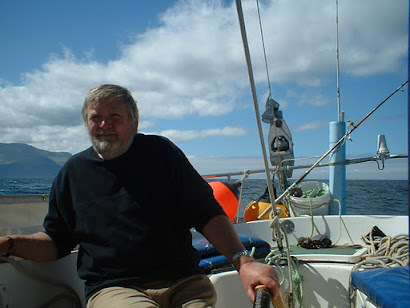 No one is suggesting this as an alternative; we are legally obliged to register and pay for the right to moor a boat, and membership of the LBMOA is obligatory and also gives us a welcome discount. What has been suggested is that mooring owners in the three locations form separate bodies, perhaps paying a nominal sum each year which will go towards paying for regular inspections. 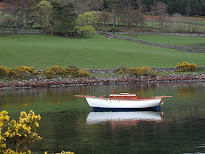 It is in everyone's interest that their neighbours' boats are well moored, so a communal fund would be used to ensure every mooring is fit for purpose. The ad hoc arrangement has worked up until now, but is it not time to put things on a better basis? This year we were offered the services of a professional diver to check our gear and clean our risers. That was an improvement, albeit a pricey one, as the fee did not include any remedial work. Something to discuss over a pint or two at The Royal perhaps? The quorum is five members as only three present, the agenda was discussed. The approval the minutes of the committee meeting of 2nd March 2019 was held over to the next meeting. 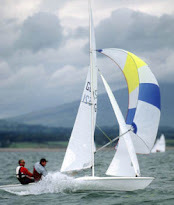 PC to affiliate the club to the RYA – expected cost c£150 PC. Building on the previous work of Adrian, it is proposed that the clubhouse receive a modern uplift. It is proposed that a budget of around £2,000 be allocated (having saved this amount from the intended contribution to the asphalt) . 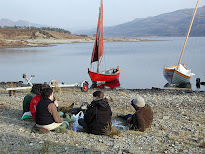 Work Party on 20th April: Discussion of dinghy park and roadside wall organisation; possible numbering of spaces opening the possibility of charging for nominated spaces. DB read out the names of those yet to pay their 2019 subscriptions. Members should have a quick look at the latest approved minutes of the committee meeting held on the 19th January, posted above, along with the draft minutes of the 2018 AGM. These will be approved (or not) at the 2019 AGM on 30 March, as outlined below. Apologies:, Dave Maxwell (Treasurer: DM), Adrian Morgan (Vice Commodore: AM), Anthony O’Flaherty (AO), Gill Wilson (GW). The proposal to approve the minutes of the committee meeting of 19th January 2019 was proposed (PC & DB) and duly approved. SO reported the completion of the work on the Wee Pier, Top of the slip widened, outer edge of the dinghy park concreted and rings added, rings also added to the roadside wall, the former bund round the bottom of the slip dug out. Letter of thanks to UHT sent. The slime on the slip to be washed every four weeks by UHT using their deck scrubber. Moorings: The club trot must be inspected annually with the last inspection in June 18. SO to approach Roy with a view of moving the trot at high tide for inspection at low water. SO. Contact UHT with a view of asking for the divers that inspect the UHT moorings to stay for some extra days to inspect others. SO. Club rib engine to be serviced by mobile engineer (work in progress) SO. Two ribs needed for the week. DM. 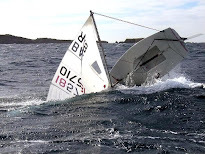 Insurance cover is limited to two sailing instructors. The possibility of development of the club house and facilities to include other groups was discussed. No conclusion, PC proposed forming a club group to agree LBSC’s position. Membership to be consulted before any formal proposal. – Held over. UHT sorting our the railing following the crashed stolen Audi on the clubhouse roof. DM had previously circulated draft accounts for 2018 for use at the forthcoming AGM. From the previous meeting: The club has around £11k ‘free’ after payment of £1.5k for insurance. 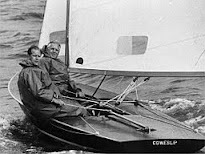 In 2018 social events were financially neutral, Junior sailing small profit, Membership income £3.3k. No formal plan yet, collate Club Calendar PC. 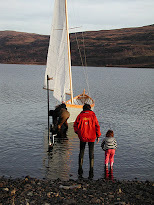 PC leaving for Ullapool circumnavigation in June, SO to St Kilda in May. 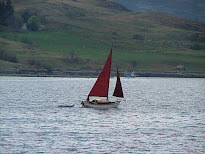 Ullapool skiff regatta in May. Members of the club fitting LED lights should take note of these findings. The U.S. Coast Guard has sounded the alarm over the potential for light-emitting diode (LED) lighting on vessels to compromise reception on VHF frequencies used for radiotelephone, Digital Selective Calling (DSC) and Automatic Identification System (AIS). The distance at which the LED lighting starts to have an impact and whether the issue is limited to certain makes of lighting or navigation equipment, is unknown. The U.S. Coast Guard has asked the U.S. marine industry to provide more detail of known incidents. Due to their energy-saving capability and longer service life, LED lights are commonly used for navigation lighting, searchlights and floodlights, as well as interior and exterior lighting— including those used for visual effect. The U.S. Coast Guard said that in one case, radio-frequency interference caused by LED lighting created a hazard that led to a serious safety incident. ‘The maritime rescue coordination centre in a United States port was unable to contact a ship that was involved in a traffic-separation-scheme incident by VHF radio. That ship also experienced very poor AIS reception. Strong radio interference from LED sources may not be immediately apparent to marine radio users, but there is a way to test for LED interference. 6. If the radio starts crackling when you turn on the LED lights, it is likely that the LED lights are affecting both your on-board VHF marine radio and AIS reception.